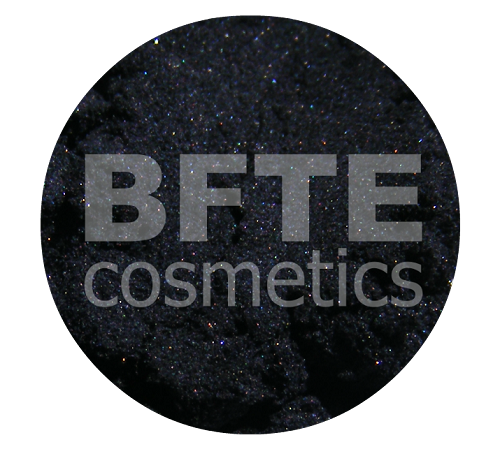 Our dark as pitch Black has a bit of sparkle to it. Note: This is a non-blended color. Please check our FAQ for more information. Full-size 5 gram sifter jars hold 1 to 3 grams of product, packed. Sample jars have .3 grams of product.